First Minister Nicola Sturgeon has officially opened a Christmas Tree Festival hosted by a Glasgow church. More than 30 trees, decorated by around 100 people, are on display at Queen's Park Govanhill Parish Church. They have been provided by a wide range of local community groups who have all come together in the spirit of Christmas. 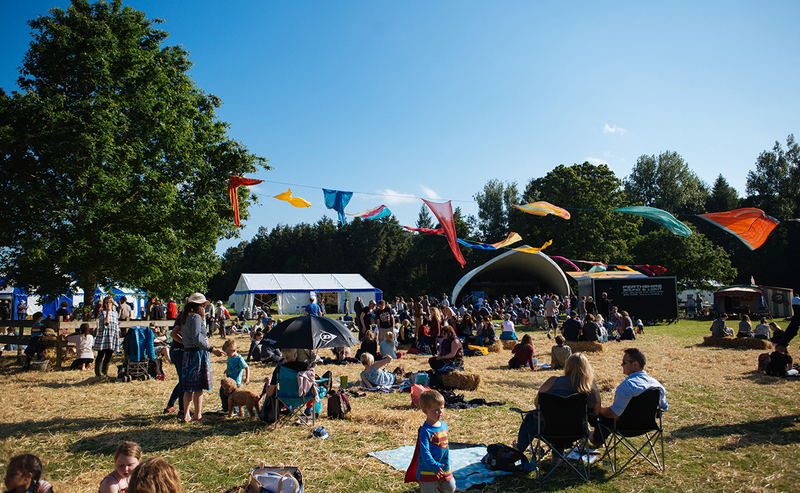 The three-day event is aimed at encouraging people from all walks of life to continue vital work to create harmony and build on community cohesion. It also marks the congregation's 150th anniversary in Queen's Drive. Ms Sturgeon, who represents the Glasgow Southside constituency at Holyrood, was entertained by children from Poppins Kindergarten who sang Christmas songs. The St Cecilia Quartet also performed as part of the visit. Ms Sturgeon, who spent time speaking to local people, said: "Queen's Park Govanhill Parish Church does a lot of very good work locally. "I am very supportive of that and it is lovely to come in and see what they are doing for their Christmas celebrations. "The Christmas Tree Festival is very nice and gives different organisations a chance to demonstrate what they do as well as take part in a celebration. "It is a really lovely idea and puts everyone in the Christmas spirit." 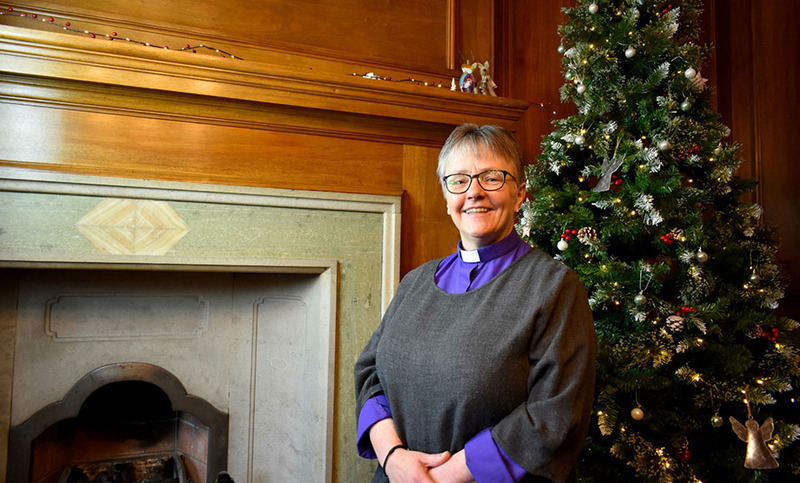 Ms Sturgeon was invited to the church as part of the Scottish Churches Parliamentary Office's Meet Your MSP project, which connects congregations to parliamentarians of all parties. Asked if she thought it was a valuable project, Ms Sturgeon said: "It is good for MSPs to get in and see what local churches do. "And vice-versa, I suppose, for churches to understand what their MSPs do locally and how they can work together." Rev Dr Martin Johnstone, Secretary to the Church and Society Council of the Church of Scotland, said he was pleased Ms Sturgeon attended the event, which attracted around 200 people. "It is great to see the First Minister recognise the contribution the church makes in this community," he added. "One of the great challenges that we have is, by in large, we say we don't trust politicians. "But actually when we meet them we discover they are trustworthy. "One of the great things about Meet Your MSP is it helps to build trust between local communities and their politicians which is really important." L-R Lynn Flower, Nicola Sturgeon, MSP for Glasgow Southside, Joyce McNae and Rev Dr Martin Johnstone. 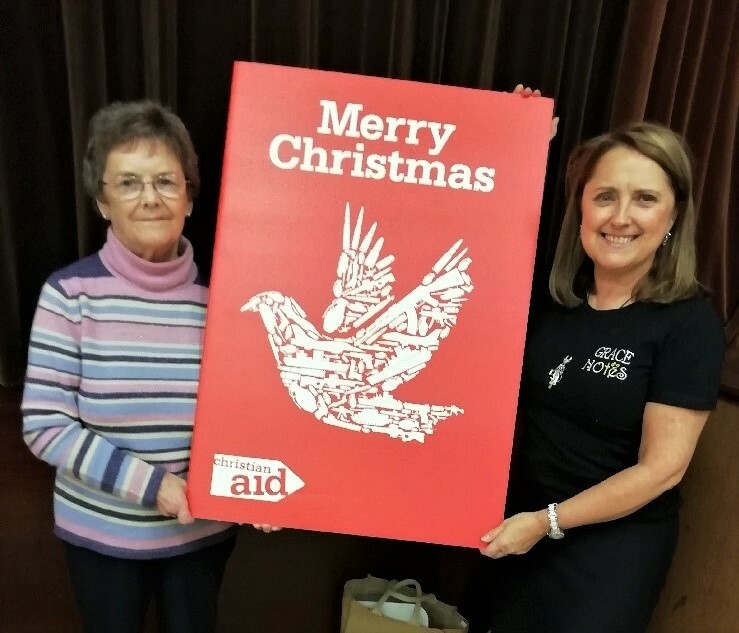 Queens Park Govanhill Parish Church elder Joyce McNae, the Christmas Tree Festival organiser, said: "I am so delighted that we have managed to get 30 groups involved. "I am so happy to see people working together and exchanging ideas, that is what it is all about." Lynn Flower, who is also an elder, said: "This is a huge community event with lots of people participating and its absolutely delightful to have Nicola Sturgeon here. "It's always nice to be recognised for the work we do which is reaching people in the community and for them to be part of our congregation in some shape or form. "Govanhill is a very diverse community and there are 65 languages that we know of spoken here. "There is a huge area of the parish in extreme difficulty and poverty and our outreach work is very important. "The church runs a foodbank once a week, which gives people, who don't have to be nominated, three days supply of food. "People are served a meal on Sunday nights and on a Tuesday there is an outreach cafe which is open to everyone. "Our building is used constantly every single day for a wide range of activities including dancing and training. "So instead of having a building that is open for an hour a week, it is used 24/7.